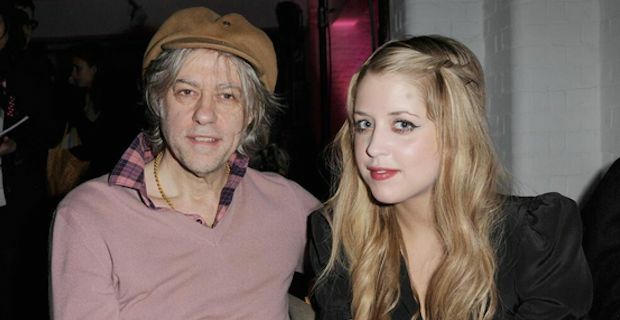 Bob Geldof has said that he sometimes finds himself unable to walk down the street without "buckling" when his thoughts turn to the death of his daughter Peaches. Geldof opened up in an emotional interview on ITV with Lorraine Kelly and shared how he has been doing in the past few months. Kelly asked him how he had been coping and Geldof said of the pain that he feels: "It's intolerable, it's very hard as everybody must realise, especially if it happened to them too, and what else do you do, you get on with it." He added "I'm walking down the road and suddenly out of the blue there's an awareness of her. And you know, I buckle. And I've got to be very careful because walking down the Kings Road there are paps everywhere so I have to duck off into a lane or something and blub for a while." Geldof's ex wife and Peaches' mother Paula Yates also died tragically and he mused that his life "seems to be incredibly episodic like a soap opera" and that he just finds himself "already in the middle of it and there's no getting out of it and you have to move on to the next scene whatever that it is." Peaches was found dead at her home in Kent back in April. An inquest was told that her death could have been the result of a heroin overdose. She is survived by her husband Thomas Cohen and their two children Phaedra and Astala.